The ability of an organization to build and sustain a high performance environment differentiates those that merely survive from those that thrive. Are you seeking help in defining what success means to your organization? Do you want (or need) support to align or realign your mandate, mission and customer focus? Are you grappling with how to manage through and support enterprise-wide change? 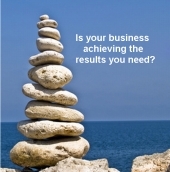 Are you searching for ways to balance success and results? Do you want to maximize the power, impact and effectiveness of you and your management team? PSN can help you focus on achieving and maintaining a strong competitive advantage and laying the foundation for sustainability and future growth. We focus on current realities, your future vision, and what actions can be taken to move you toward your goals. We facilitate and lead STRATEGIC PLANNING initiatives that assist organizations in setting a clear path, framework and action plan for future growth and development. We strengthen GOVERNANCE PROCESSES to enhance organizational accountability and effectiveness. We lead and support BOARD DEVELOPMENT initiatives and training to enhance knowledge and strengthen governing capacity. We COACH, MENTOR, SUPPORT and provide feedback and objective counsel to Executives and Senior Management so they can improve performance, effectively address organizational issues and enhance leadership skills. PSN can help you recognize critical changes in the market environment, understand the implications for your business, define innovative and robust strategies, and translate those strategies into effective implementation ahead of the competition. "We can't solve today's problems with the same thinking that created them"